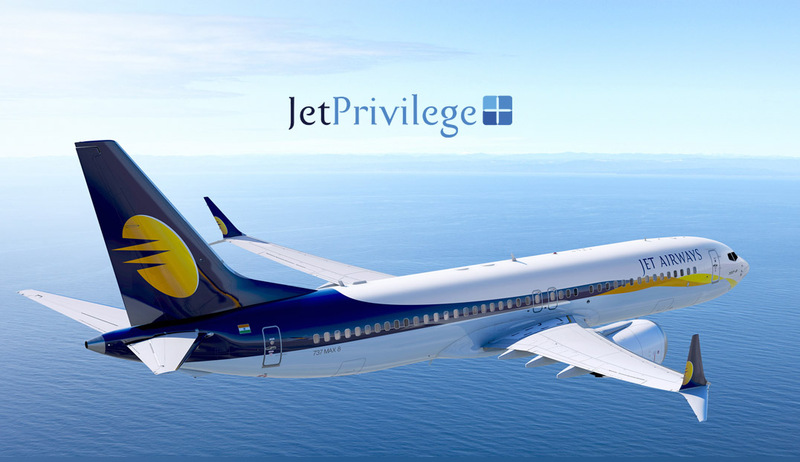 JetPrivilege is India’s largest Air miles program, run by Jet Privilege Private Limited (JPPL) which is an independent loyalty and rewards Management Company formed in 2014, post the strategic alliance between Jet Airways and Etihad Airways. Here’s a list of all credit cards that can help you rake in lots of JPMiles. You can use JPMiles to redeem for free Domestic & international flights, upgrade to Business class/Premiere cabins. While the earn rate may appear to be normal, it comes with a whooping 30,000 JPMiles as welcome bonus, which is good enough to redeem for 5 Domestic Flights. The specialty of the card is that, it gives access to the American Express Lounges which is located in Delhi & Mumbai. Along with it, you get the status symbol of owning the American Express Credit Card. Its one of the popular credit card for years when it comes to JPMiles, available at low joining fee. Apart from decent earn rate, it gives unlimited access to domestic Airport Lounges in India. You get better returns on Weekend Spends. If you can put all your expenses on weekends, this gonna be a great card in your wallet. You can earn a lot of points on internationals spends with Citi Prestige and accelerate even more if you’re a Citigold member. HDFC Diners cards are known for its India’s largest 10X promotions offer. While Diners Black itself is not a JPMiles card, you can earn 10X reward points with selected partners and convert the points into JPmiles anytime. However Diners Club acceptance are yet another dimension to consider before applying for the card. What’s your choice of credit card when it comes to accrue JPMiles? and where/how do you redeem the Miles to maximize the value of JPMiles? Just wanted to drop in and wish you a very happy diwali and appreciate your efforts to spread awareness and give honest reviews. Cheers! I am looking for a credit card which I would use in my business expense such as travelling dining Etc. Main benefit I want is to convert all rewards/points in JP Miles and access to all lounges at airports. In this situation which will be the best card for me? Regalia, Citi Premier Miles, ICICI/HDFC Jet card, or Diners ??? Wonderful article. Can you please write a review on JP Miles program? Is it worth for it’s points and redemption? For example, if i want to redeem for award flights between Bangalore to Mumbai it needs 5000JP miles for which the ticket costs 1000 INR. So effectively 1 JP mile is equal to 0.20 INR. But if we want to buy JP Mile we need to pay 719 INR for 500 JP miles which is effectively 1.43 INR per JP mile. So it is like paying 1.43 for a JP mile to redeeming it for 0.20. Why are many behind JP Miles then? Its useful only if you fly on a long haul Intl sector First/Business class. Else its value is too low. Hey Siddharth, what about Indusland Bank’s Jet Airways cards. Any recommendations on them? Yes, Indusind Jet Odyssey Credit Card is a good pick. But their joining fees is quite high. Free for Jet Platinum members though. Can you please suggest a credit using which I can earn airline miles in Lufthansa. I have a gold status with Lufthansa and am looking for a card which I can use to earn reward miles in their Miles and More program. Miles & More Axis Bank card is there, but not with attractive benefits. Looking for an article on how to play with J P miles/any airline miles to get max benefits. Not yet. Hopefully in a month. I lot of readers want to go from RPs to Airmiles if it has more value. Any article of this would be very helpful. LivefromALounge seems to be an expert in it but he’s on a totally different level. We need the basics first. Noted. Will have an article on it shortly. I just want to know if HDFC bank jet privilege diners club credit card can be issued against fixed deposit. As I want higher credit limit as I travel a lot for my business. I doubt as its a super premium card and most super premium cards are not issued based on FD. Though, get in touch with the branch. Between Amex Jet and Dinner Jet whats your preference? Hi. Planning to buy credit card only to earn maximum JP Miles and other privileges related to Jet. I already have HDFC Regalia hence i need not worry about airport lounges entry. Given that scenario, super confused between AMEX Jet and Jet ICICI Sapphiro. Your answer would be ? Amex Jet if you can spend a lot. Because ICICI Jet has upper cap. how do you compare Citi Premiermiles vs JPMiles? Isnt Citi PMiles better? They can’t be compared. One is a reward point, other is an airmile. My question was more on which has a better return? Should I be using an Amex Jet Card for all my spends to accumulate JPMiles or use a Citi Premiermiles card for accumulating Citi Air miles. Also Jet Privilege comes with conversion programs… Should one convert Citi Miles to JPMiles? I think the JPmiles are good if we are in higher tiers. Especially the cancellation/ changes waivers. Can we get upgraded to higher tiers if we are accumulating points using cards? If we are on platinum tier, we might around 750 Jpmiles (500 + 75% tier bonus) on a domestic ticket of ~2K. What will be the best card (Debit or CC with small FD <50K) that can help to earn some miles? Check out HDFC Jet debit card. I am looking for a card to accumulate jpmiles, get lounge access both domestic and international. Joining bonus of Jpmiles is a added advantage. I also don’t want to pay very high joining and renewal fees. I can use it as a primary card so that I will have a spend of 3-5L annually on this. Card acceptability at multiple location is important to me. Looks like HDFC World credit card gives me all this. Do you have any suggestion here or is there a better card meeting my requirements. Hey Sidharth, i have an SBI and HDFC regalia credit card. Just wanted to know if international transactions with these credit cards would bypass the 3d authentication feature or not . As in, whether i would get an otp or not. NOT 30,000 + Tax as mentioned.